Imagine you're helping a customer resolve an issue over the phone. You take down the details of their request and need to follow up. You can use the customer portal to raise a request by filling in the request details there. 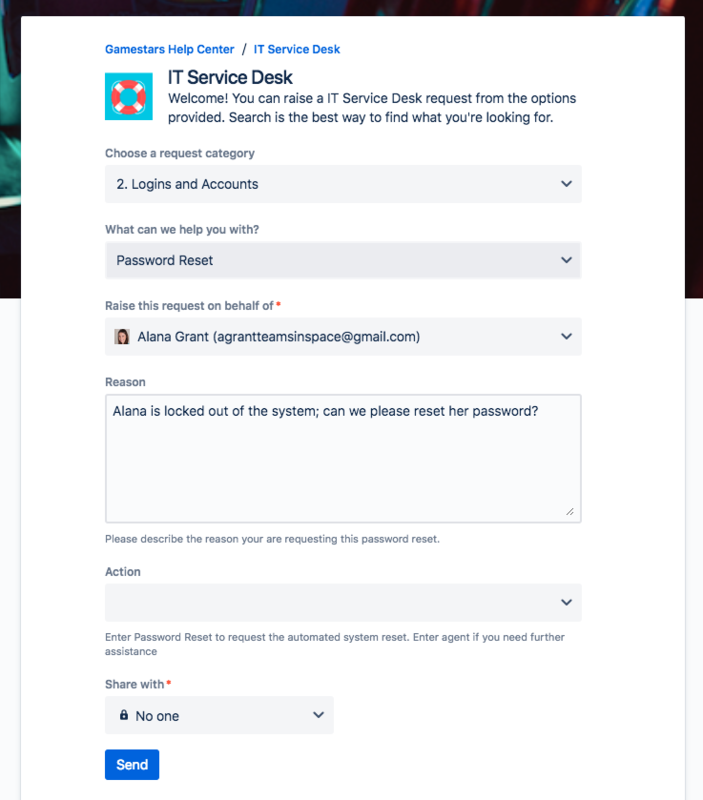 If you don't need to create a request, you can invite customers to your service desk so they know how to get help. Learn how to add a customer. From your service desk project, select Raise a request. In the Raise this request on behalf of field, enter a new customer's email address, or search for an existing customer. Select Send. Your customer is emailed a link to the new request. New customers also receive an invitation to finish creating a service desk account. From your service desk project, go to Customers. Click Add customers to add customers to your project.